Travelers diarrhea study, open for enrollment. TravelWell partners with the Emory Vaccine Center’s Hope Clinic to advance vaccination and infectious disease science. Studies are currently recruiting participants who are about to receive the yellow fever vaccine or have received it in the past. Learn more about studies ongoing at the Hope Clinic that you may be eligible to participate in. 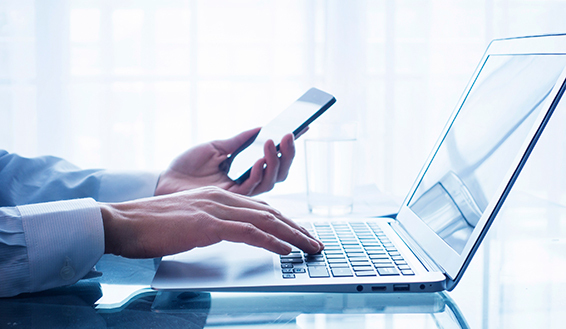 Comprised of 54 travel and tropical medicine clinics on six continents — including TravelWell — GeoSentinel is a global surveillance and communication network affiliated with the International Society of Travel Medicine (ISTM) and the CDC. The objective of the GeoSentinel network is to monitor geographic trends in infectious diseases and provide valuable information for detection, response and prevention worldwide. 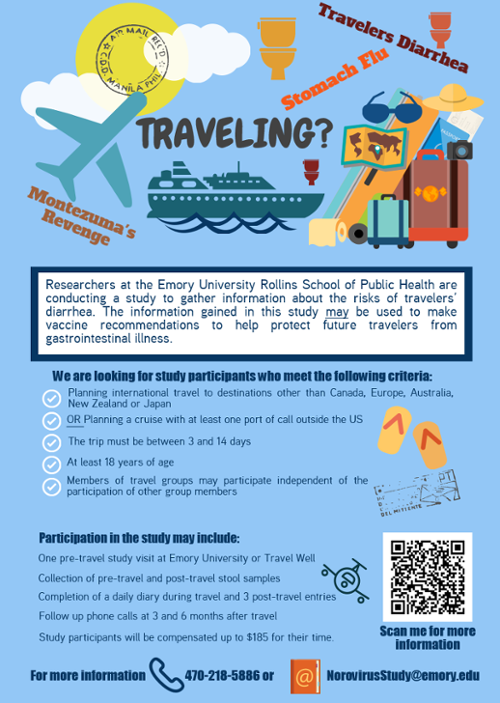 If you are interested in participating in travel medicine-related research studies, please contact the recruiter identified at the links provided or ask our staff for more information at the time of your appointment.